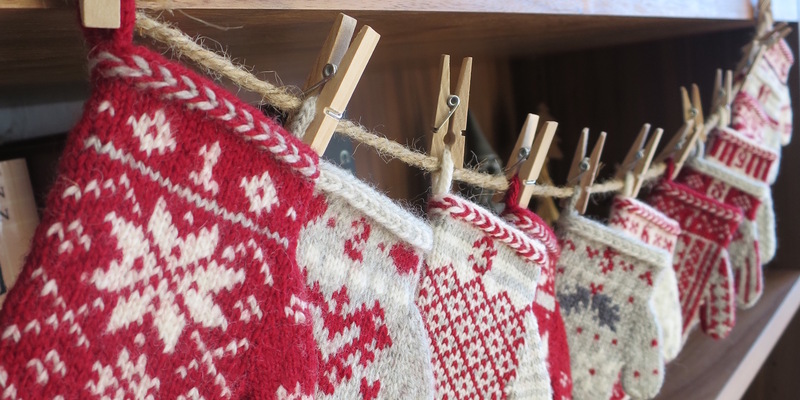 Now that our Mitten Garland Advent Calendar Knit Along is over, here are links to each week’s pattern in one place. Just a little something to make it easier for those of you just starting. 3 years ago by Kat in Christmas , Holiday , Knitting , Knitting Projects , Needlecraft , Projects | You can follow any responses to this entry through the RSS feed. You can leave a response, or trackback from your own site. Thank you so much for sharing these patterns! I am new to knitting and these little mittens are perfect for me to practice some skills. Very cute! I just love this project, Kathy. Thank you so much for sharing your pattern. This will be a perfect project to start this summer! 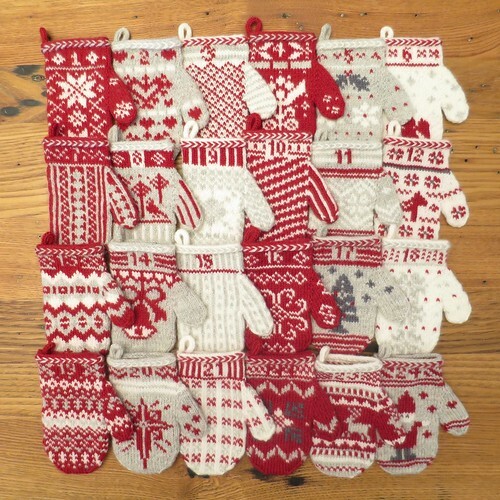 Thank You for these sweet mitten patterns. Thought this pattern was so adorable that I bought the yarn, printed off the pattern and was ready to go, only to find that the first 12 rows of each pattern is missing. I don’t have the section with the numbers and the matching pattern in the cuff area. Hmmm, I’ve just gone in and double checked a few of the charts and they are whole. Have you downloaded the charts or just done screen prints? Screen prints will not give you the whole chart, you actually need to download the pdf and print the pdf. When I click on the charts from the posts, I only see row 14 and up on the screen because the screen is not big enough to show the whole chart, I have to scroll down to see the other rows. So if I did a print of the screen I would only get those top rows. Many thanks for the patterns, they are gorgeous. Probably a tad late for me to start this year, but…………….. watch out 2017. One quick question, would it be ok for me to make them to donate to my local animal rescue for them to sell? My daughter-in-law found this and sent me the link. She would like to use this as an Advent Calendar for my two grandsons. I love this. Thank you so much for sharing. I may not be able to get them done for this year…but what a wonderful winter project to have ready for 2017! Again, thank you for sharing!! Glad she found it. You are right, a little too late for last year. When I made it we started in June and did one mitten a week through November! I downloaded the charts, but cannot find the general directions. How to get started? Thumb directions? Hi — these are lovely! What is the finished size in length and width? I can’t tell from the photos and don’t see it mentioned in the basic pattern. Thanks for sharing. I got here through Ravelry. Thanks! If you knit them to gauge, each mitten is about 4.5” tall and 2.25” wide (not including thumb), just big enough for a small gift. Many people have knit them slightly bigger. Making two sets of these now in the hopes that may two sons. I’m hoping they will put them up in their own homes and remember me when they see them long after I’m gone and hand them down to their own children. I am not a fan of multiple needle knitting to say the least. Is it possible to knit these using two needles and using knit one row, purl one row to accommodate. Are there any drawbacks or tips you can give me before I start? Is it possible? Yes, I guess technically you could knit these flat and then seam them up. I’ve never knit mittens flat, so I don’t have any tips on how to rework the pattern to work that way. Personally, I wouldn’t recommend it though as I think doing color work like this flat is much harder to do and make look nice. I know some people who don’t like using double pointed needles have had success using magic loop or two circular needles. A lady in our knitting group is making this garland. It is adorable! I had not seen it before this. Thanks for the patterns! These look like a lovely twist on the felt advent calendar my grandma made us as kids! Maybe if I make one the grandkids will come!?!? !